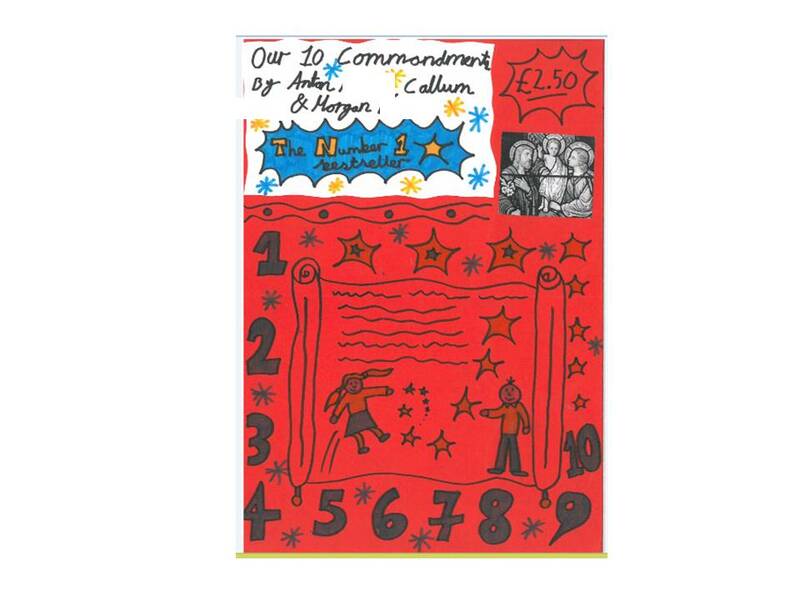 Your task is to design a poster/booklet covering your top 10 rules for your school. 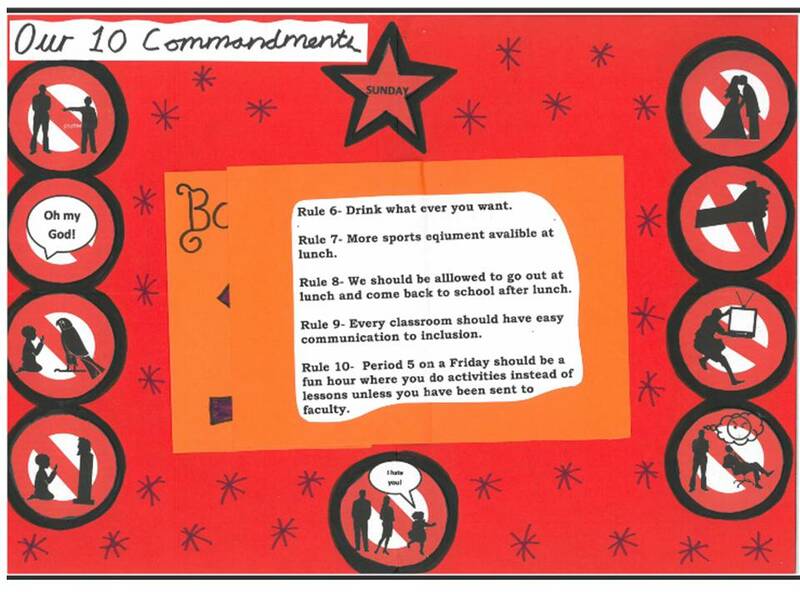 The rules will have to be workable for instance you can not have only one hour of school per week! 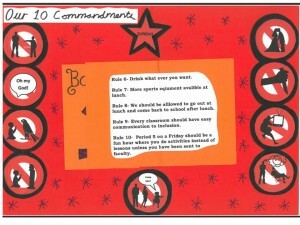 It has to be within the legal educational framework for your school – ask your teacher if you are not sure. You will also need to add to your poster your own original 10 symbols to cover the actual 10 commandments given to Moses after he went up Mount Sinai.